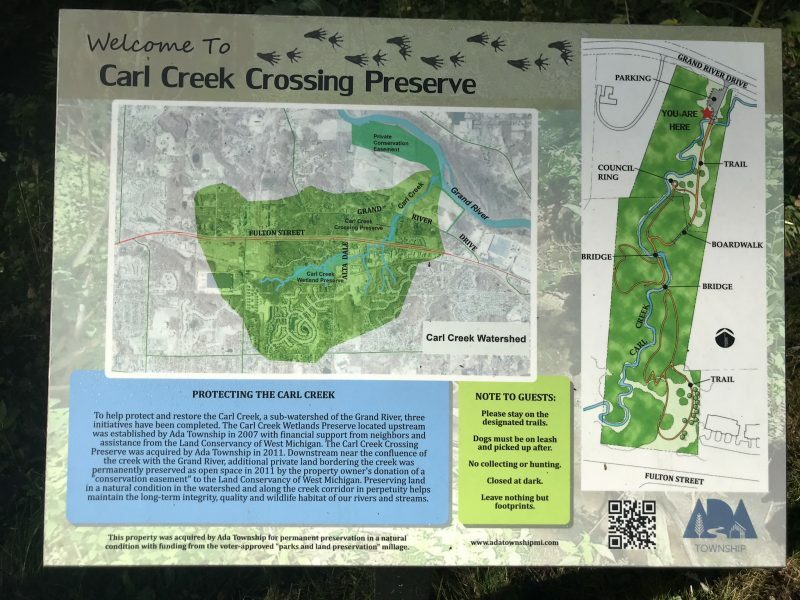 Carl Creek Crossing Preserve is an 8 acre, hilly, wooded nature preserve along the banks of Carl Creek in Ada. There is a .5 mile gravel trail that starts in the small parking lot off of Grand River Rd and the extends all the way up to Fulton St where you can loop back and also take several short offshoot loops. All-terrain stroller friendly. 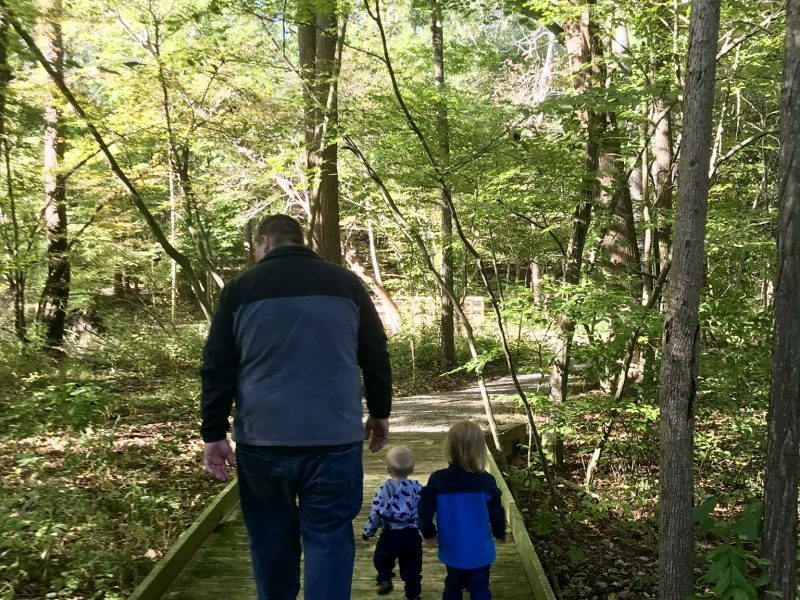 The smallest walkers may need help navigating the hilly terrain at times; the gravel is easy to slip on in the hilly areas especially when it’s wet. There are a couple of bridges to cross that are great spots to view animal tracks. On your first right, there’s a circular stone seating area that’s great for the kiddos to climb or take a break on your way back for a snack.